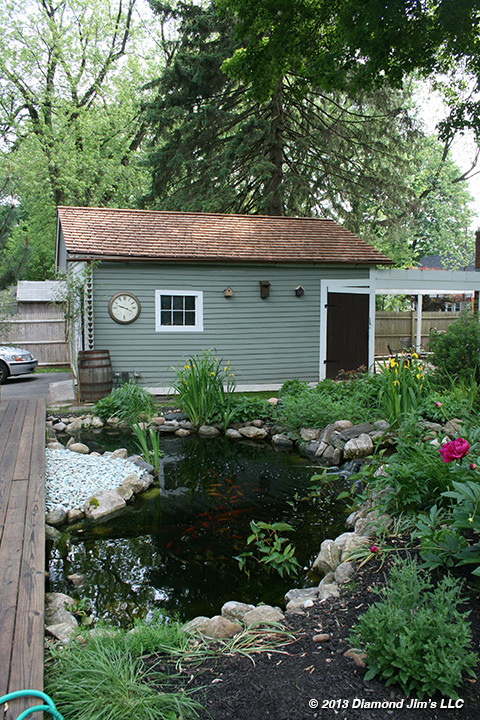 This is the koi pond shown 7 months after the deck was done. We came back to clean and restore their cedar shake roof. No fish were lost as we were very careful in protecting them from the chemicals.